Choosing puppy supplies is one of the fun parts of bringing home a new puppy. There are so many things your new pup needs, and even more that you simply want, and everything looks so adorable! I'd recommend starting out with the necessities (with maybe a couple of special/fun items thrown in), and adding to that as your pup grows and you get to know his personality and needs.....or as funds allow. Find out which products I always use with my own puppies, and why I think they're essential. Each of these makes life easier in some way during those early weeks with a new pup. They're all firm favorites and have earned their place on the list! I've divided this page into categories to make it easier for you to find the puppy supplies you need. Check out the very best dry puppy food choices for pups of all sizes and breeds. Cuts through all the confusion and information overload to help you make the right choice for your little one. Although it's not usually the most recommended way of feeding a pup, canned food can be a good choice for some puppies. Find out whether this could be a good choice for you and your pup, and see the best brands on the market. It's just as important to pay attention to the treats you give your pup as it is to his food! Check out the premium treats here, all made with quality ingredients, and find out how to choose healthy 'goodies' too. Crate training is the best way to housebreak a puppy, and plastic crates are affordable, durable and easy to clean making them the perfect choice. 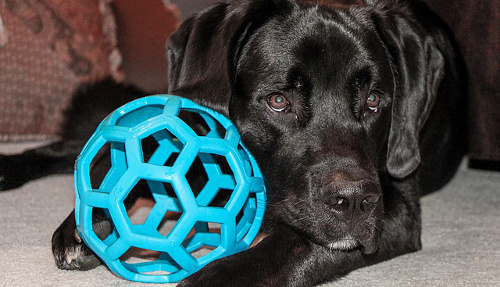 See which plastic dog crates are the best fit for your puppy (and your needs) right here. This type of crate is also a good choice for housebreaking, especially if your pup likes to be 'in the middle of the action' and yet needs to be contained. Also great for large or giant breed puppies. Lightweight, convenient and very portable - soft sided dog crates make trips with your pup simple and safe. Not recommended for housetraining puppies but excellent for road trips, visits to friends/family, socialization outings. If you have a puppy in your home - then you need reliable, effective products to remove the odor and stains of those inevitable 'accidents'. Find the best (tried, tested and trusted) products here. If you want to use pee-pee pads to housebreak your puppy, you need to know the pros and cons of each brand/design. They're not my preferred way to potty train a pup, but they can be useful and convenient in some situations. Indoor dog potties are a great alternative to puppy pee pads and come in a wide variety of styles and options. Probably the best choice if your pup/dog can't/won't eliminate outdoors. A dog relaxation cd can calm your pet's anxiety quickly, effectively and safely. Whether it's thunderstorms, car travel, general noise or separation anxiety, there's one to help your dog here. Puppy toys come in all shapes and sizes, not ALL of them are suitable or safe for every puppy. Find some of the best, and safest, ones here PLUS get tips and advice to help you make the right choice for your pup. When puppies are teething they need the right kind of toys to stand up to the abuse, and to soothe sore gums. Find out how to choose the right toys and see a selection of the best ones from three top manufacturers. Dog collar ID tags aren't just a decorative accessory.... they're an essential! Puppies and dogs get lost all over the country, every single day. But just because they're functional, it doesn't mean they can't be fun! Puppies LOVE to chew, sadly they don't confine this behavior to their toys! If you want to give little Fido a comfy bed to sleep on, make sure it's super-durable. Find FREE instructions for making or building just about anything for your puppy! Many items can be made at home for less than you buy them for. New projects are added frequently to keep you and your pup busy!